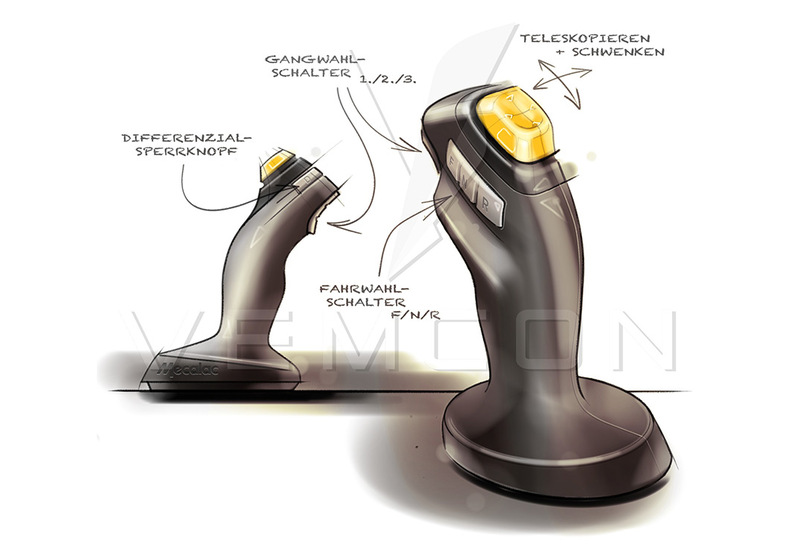 Vemcon Joystick - Vemcon GmbH | Maschinensteuerung neu gedacht. The Joystick is the first necessary step on the path towards driver assistance and (partial) automation. Furthermore, for the OEM, it is a unique selling point. For the contractor, it is a simple way to train new drivers and increase productivity. For the driver, it signifies a mental and physical relief; they can work longer with more concentration and without errors. Depending on the application, Vemcon uses the specially developed uniGRIP technology for the Joystick. For example, in the case of graders, it enables the precise and sensitive control of the complete electro-hydraulic work equipment as well as accessory equipment and tools. 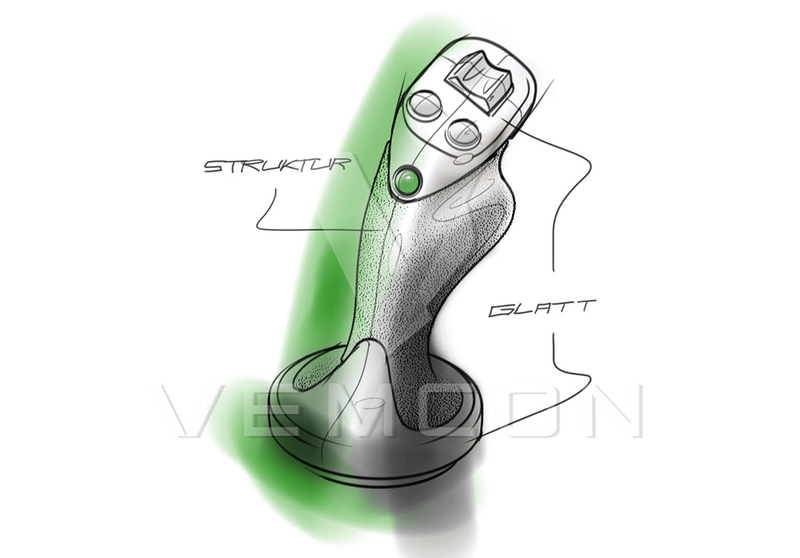 Vemcon accompanies you step by step on the way to your tailor made joystick – from analysis to series production.